When I tell people I am from the United States when traveling, most respond saying they would love to visit ‘X city’. I have always been intrigued why the United States is overlooked for its natural beauty. I can say I do not agree with all the federal government decisions, but I am forever grateful for those who lobbied to save and preserve our natural treasures. Growing up on the East Coast, I always dreamed of visiting the national parks out west. After my first backpacking trip to the Grand Canyon, I was hooked on exploring the national parks around the world. 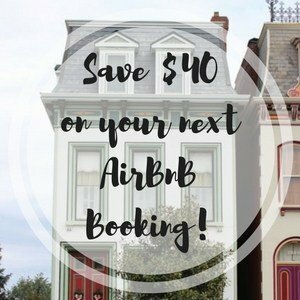 For my 25th birthday, my boyfriend and I used airline travel vouchers and booked a flight to Las Vegas. Instead of celebrating my birthday drinking and gambling my money away, I was headed to Zion National Park for a long weekend of camping and hiking. The main objective was to hike the famous Subway. 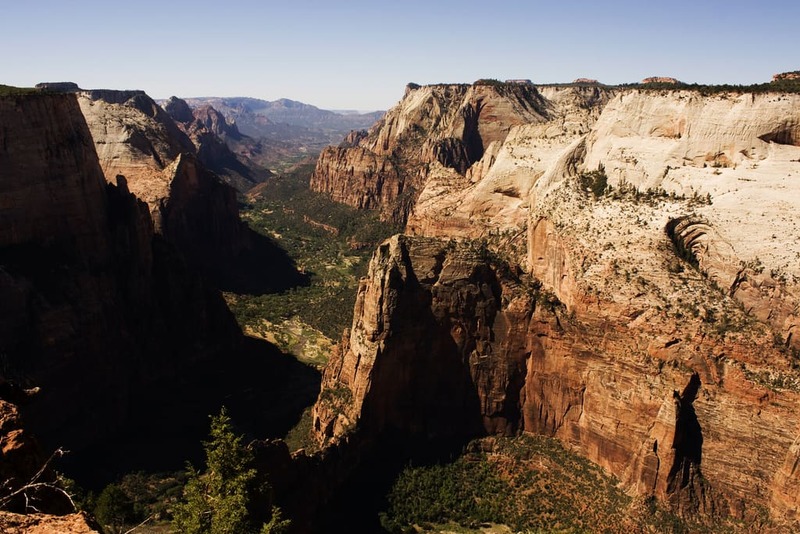 If you know anything about Zion National Park, then you may have heard of Angel’s Landing. A short hike that switches back up to a rock wall in the valley, it can be difficult for those afraid of heights. The last part of the hike warns to continue at your own risk. The path from here is very narrow and hugs the rock that drops hundreds of feet to the canyon floor. A chain has been bolted into the rock to give reassurance to the brave hikers attempting to reach the top of Angel’s Landing. Just don’t forget that going up is easier than going down! This hike provided great views of the canyon, where we were able to orient ourselves for the next few days. 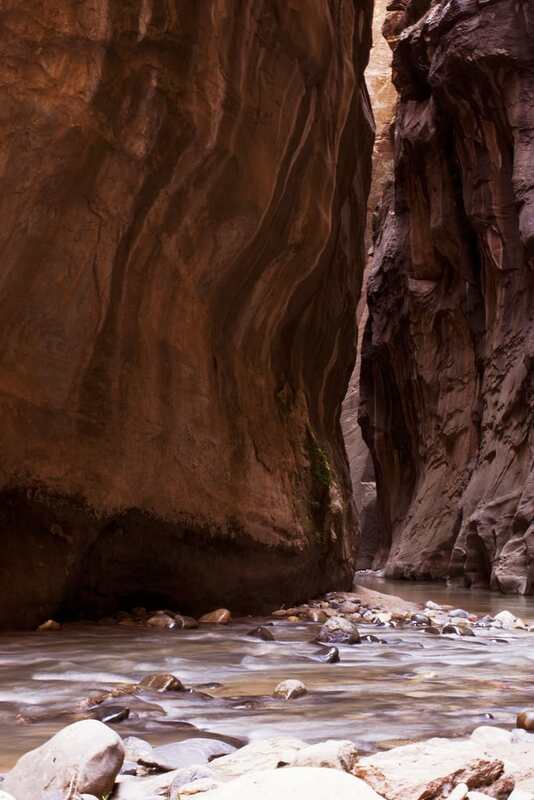 Known for its canyoneering experience, the Subway requires a permits and can be difficult to obtain. I was very happy to be doing it without a guide and carried a short rope for the rappels, along with wearing a harness. Since I did not have two vehicles and the trailheads are outside the Zion National Park shuttle system, we parked the rental car at the bottom trailhead and headed to the road with our thumbs held high. It only took a few cars to pass before we were picked up by a local heading up the road to go mountain biking. From the upper trailhead, we dropped down into the canyon. The trail starts by hiking sloping slabs of rocks before down climbing into the canyon. 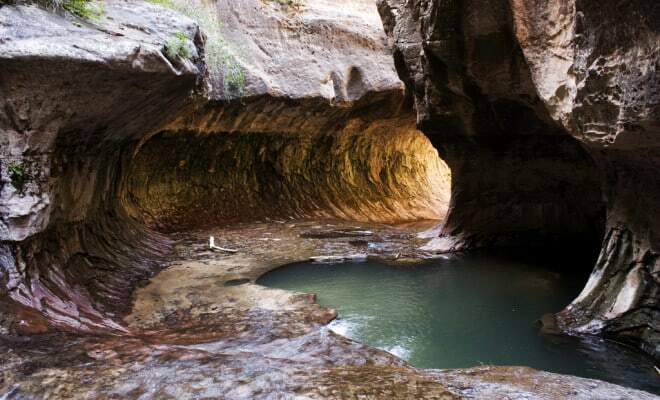 Canyon water holes stay roughly the same temperature throughout the year due to the lack of sunlight reaching it. Packing everything into a dry bag and stuffing it into my daypack kept my belongings dry as I submerged into canyon pools of water since the wall were not passable. For views looking out to the canyon, this hike is challenging as it gains elevation on exposed trail. The trail is try but starts by walking through small canyons before climbing switchbacks along the canyon walls. Gaining more views and perspective of the entire park, it is a way to avoid the crowded easy trails. Another popular hike is to wade through the Narrows to get deep into the canyon where the roads end and hiking trails are covered in water. I felt like a child again as I wore old sneakers to protect my feet from the rocks. The water levels change throughout the year and season, so make sure you plan accordingly. Watching water as it flowed over the rocky bottoms trying to keep my legs underneath me while balancing every step. The slot canyon walls meet the water running through during most of the hike with few islands that are not covered with the flowing water. It is a peaceful hike as the water rushing drowns out other noises and makes it easy to get lost in nature. 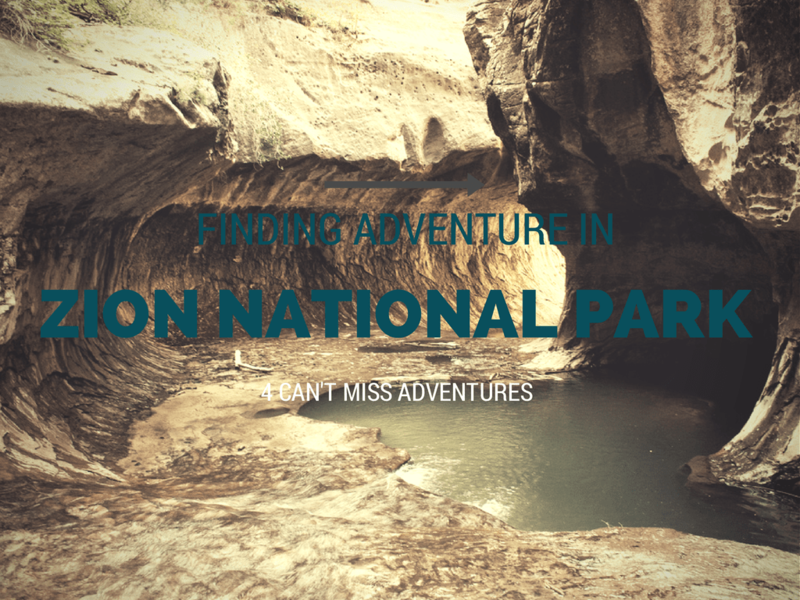 Have you ever been to Zion National Park? What’s your favorite national park?? 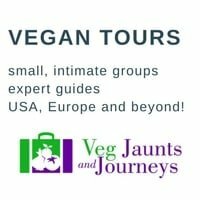 Angela is a travel/adventure blogger living in the PNW. 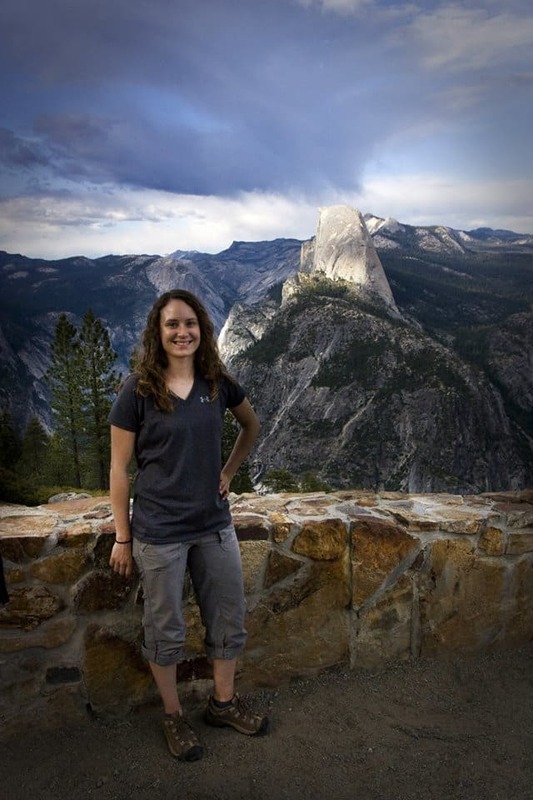 She seeks local and global travel and outdoor adventure to make the most of her vacation days. Fun birthday trip! Even though I’ve lived in the Southwest and West Coast for over 5 years, I’ve never made it to Utah and its many great national parks. This looks good fun! I went gorge scrambling at college and this takes me back. I take it you went up Angel’s Landing? Angela, I agree. 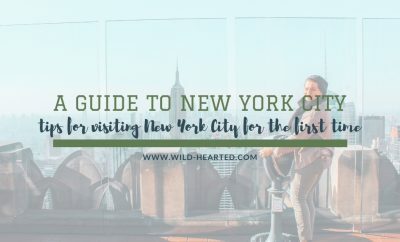 It always seems like people visiting our country are more interested in New York or Hollywood, maybe Florida. 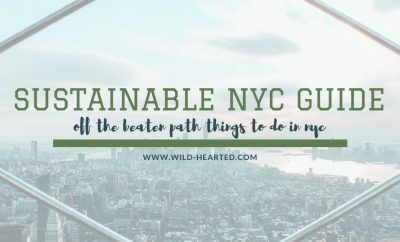 I rarely have heard they want to do a road trip or hike or camp or see any of our natural wonders. It’s always amazed me, too. I love the Zion photos. Gorgeous! It’s probably all the Hollywood movies that colour people’s ideas on where to go in the States, but I agree, America’s landscapes are so varied and gorgeous! I definitely want to explore more of the Southwest when I can make a trip back to the US! Zion is my favorite National Park that I have visited so far. You got some really great shots of the park! What a park and what great photos – you sure had a great birthday! To be honest, I hadn’t heard of this park before reading, and I’m even from the US. Guess I have more exploring to do! It looks amazing with all the narrow canyons. If you’re into national parks, you might want to check out Costa Rica if you haven’t already. It has one of the biggest park systems in the world. 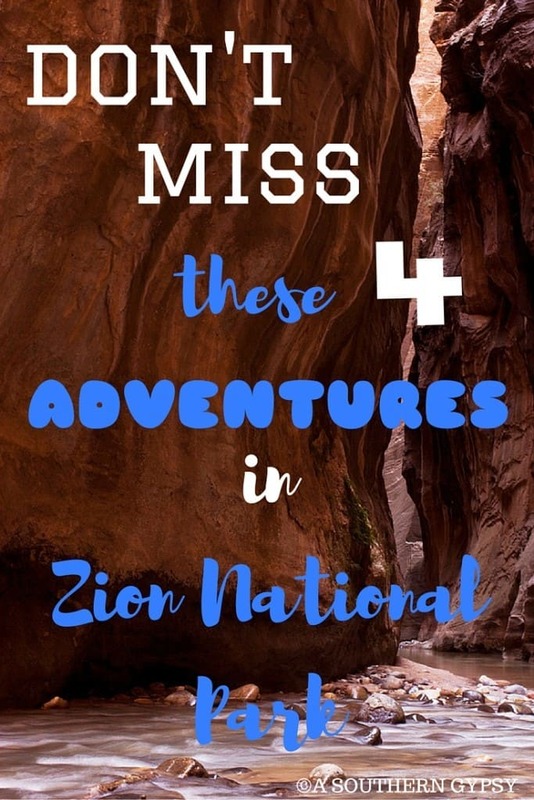 I’ve only been to Zion once but I really loved it. 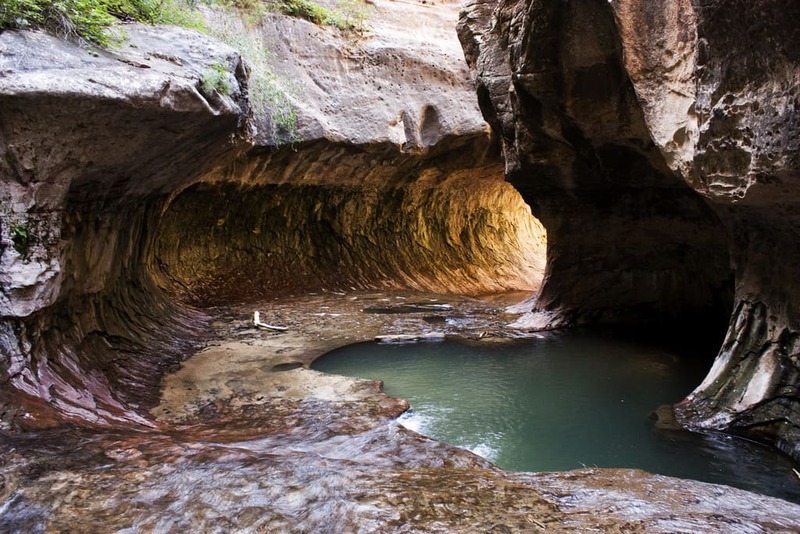 Any of the hikes in Zion will be lovely! Sadly, I didn’t do any of the activities here, but next time I really want to do Angels Landing and canyoneering! My kids have been wanting to go to the Grand Canyon. I’ll have to plan a trip soon. Zion is high on my list of US National Parks I want to visit. I was hoping to go over Thanksgiving, but those plans are now up in the air. I’m especially intrigued by the Narrows. Before I read your post, I wasn’t actually aware of how physical and challenging some of the trails are. I’ll definitely have to research them to figure out which ones are best for a family with kids. I have never been here and I’d love to go! Definitely on my list once I make it out to the west coast! I’ve not been to Zion yet, but it looks amazing!! Love that dramatic picture of you at the top. The Narrows also look stunning. Was recently in Yellowstone, and I’d definitely categorize that as a must visit park! 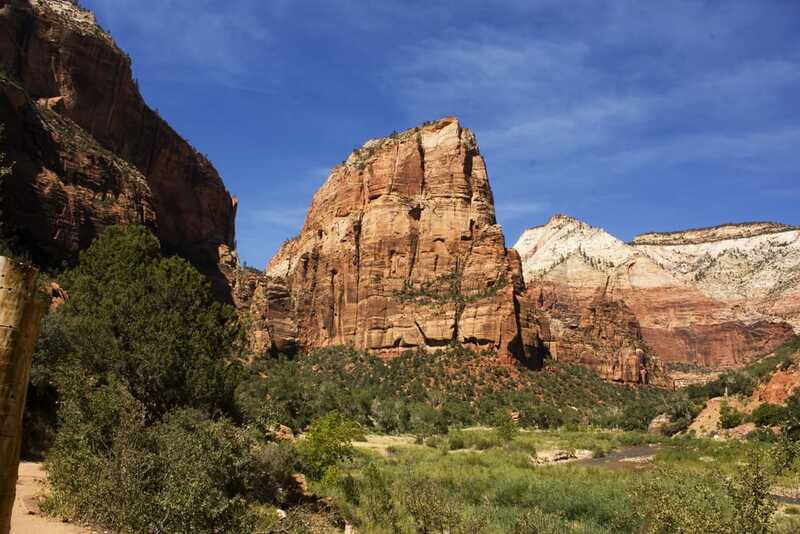 I would love to go to Zion national park. 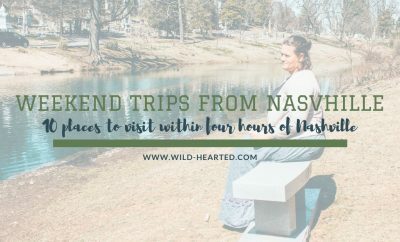 The photos are just stunning and it looks like there is tons to do there too. I visited Zion NP many years ago, along with the other southern Utah parks. Amazing place. I studied geology at university, so these pictures are like natures erotica for me. I’d never heard of the park before, definitely off to Google it a bit more! I finally got my driver’s license at 31…all because of my desire to roadtrip through the National Parks. These photos are amazing! Amazing sights! I had heard of Zion, but I didn’t know it was so beautiful! I would love to see the Subway especially.